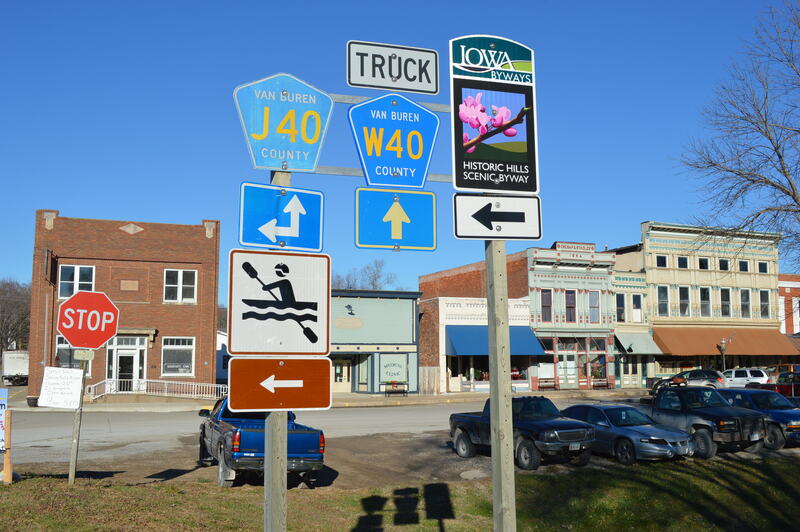 The aptly-named Historic Hills Scenic Byway in southeast Iowa boasts a variety of charming attractions, home-style restaurants and locally based shops that take visitors back in time. 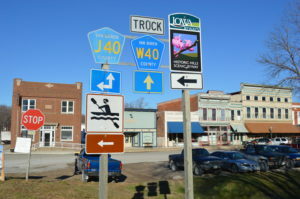 At 110 miles, the byway winds through rolling hills, a state forest and more than a dozen small towns and villages, almost dipping into Missouri at its southernmost point. Museums and historic sites include the oldest Iowa courthouse still in use, built in 1843 in Keosauqua; the state’s only Civil War battle site near Farmington; and landmarks along the Mormon Pioneer Trail. Travelers might share the road with horses and buggies, as the area is home to communities of both Mennonites and Old Order Amish. 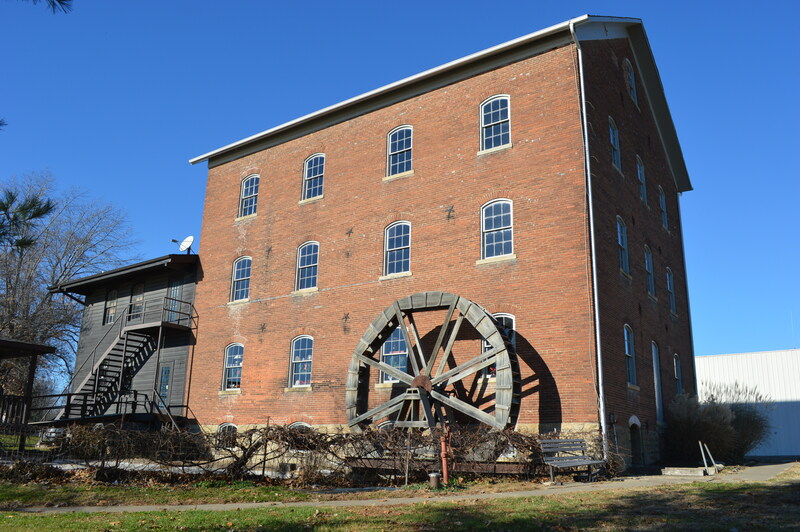 Milton Creamery is one of those throwbacks to an earlier time found along the byway, and while the business still processes cheese the old-fashioned way, the creamery has grown to provide its products on a national basis. Rufus and Jane Musser, both Mennonites, moved to Iowa from Pennsylvania in 1992 to begin dairy farming and researched cheese-making a decade later to create a value-added product for their farm and that of their Amish neighbors. Starting with about 1,000 pounds of cheese per week in 2006, they now produce an average of 10,000 pounds per week, Rufus Musser said. “In the mix of things, we’re still little folks,” he said, citing 15 employees who now help with the family operation. 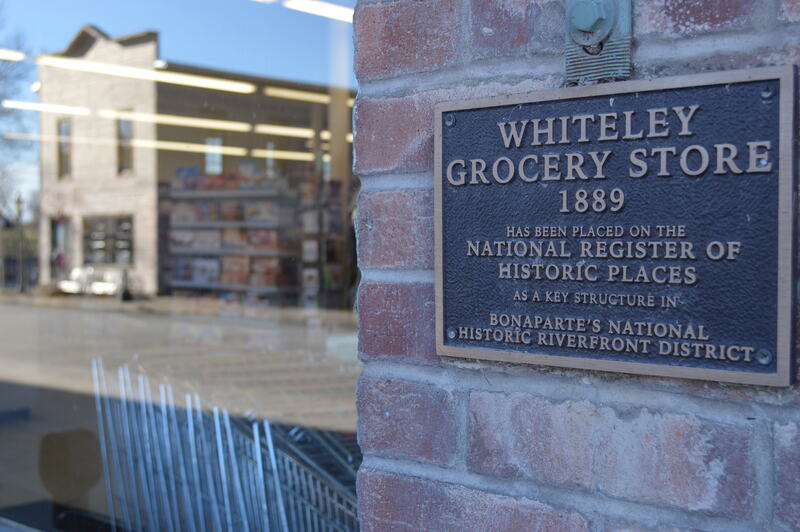 Visitors to the creamery store, who can watch the cheese-making process through a viewing window, rave about the fresh cheese curds, while Milton Creamery’s Prairie Breeze, an aged white cheddar, is a national and international award winner and their claim to fame. The cheese can be found at New Pioneer Food Co-op, as well as many Hy-Vee stores and a growing number of outlets throughout the country. 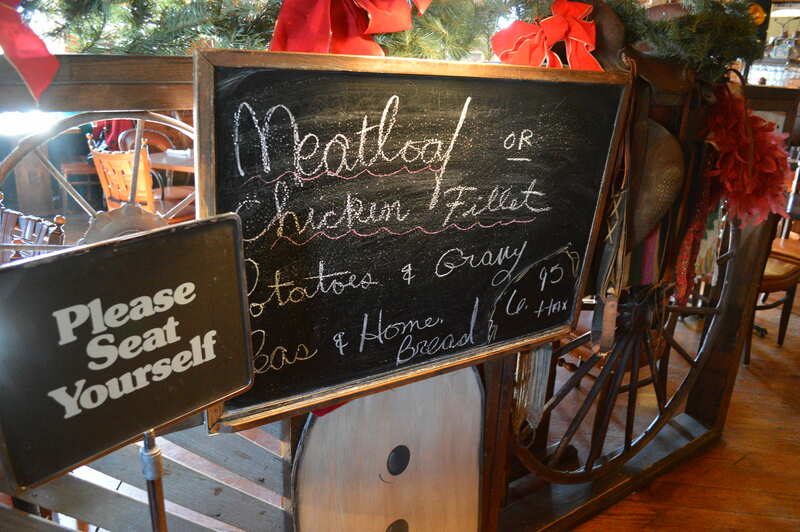 Milton, a town of just over 400 people, is set among the scenic hillsides of Van Buren County. Eight small farms that provide the milk average 40 to 45 cows each; with fawn-colored Jerseys and black and white Holsteins. The Amish farmers involved in the creamery have switched from hand-milking to machines, Rufus said, to adapt to modern ways, but the cows are still grazed and raised without growth hormones. “We do have a high quality of milk coming from the farms, with a high content of butter fat,” he said. In Bonaparte, a town teeming with old mansions and a scenic historic district along its riverfront, Addie May Fudge, named after an excursion paddlewheel boat, sells real cream and butter fudge, made on-site by members of the Huddleston family. Caleb Huddleston is the primary candy-maker in the business co-owned with his mother, Rhea. 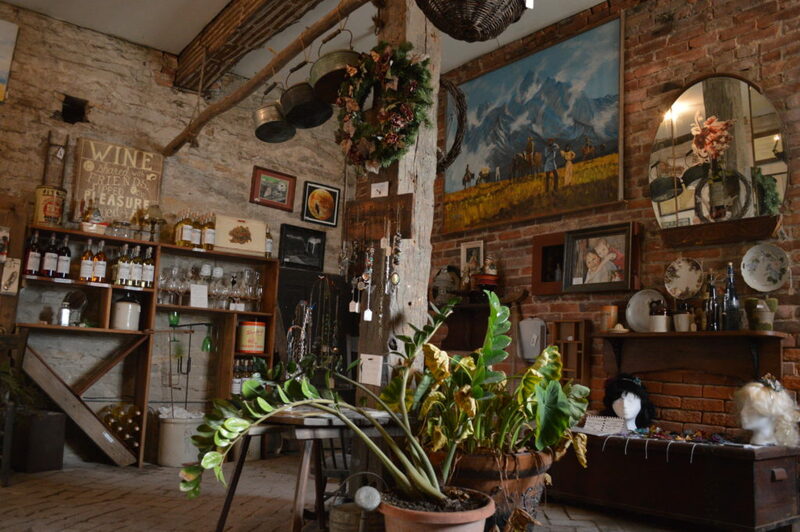 Currently in the mid-1800’s “Meek’s Mansion,” a large brick home overlooking the Des Moines River, the shop sells antiques in addition to fudge and will move once three historic buildings in the downtown business district are renovated. Rhea’s husband and a friend began repairs, with hopes of adding an antique soda fountain, tea room and expanding the retail line once work is completed. 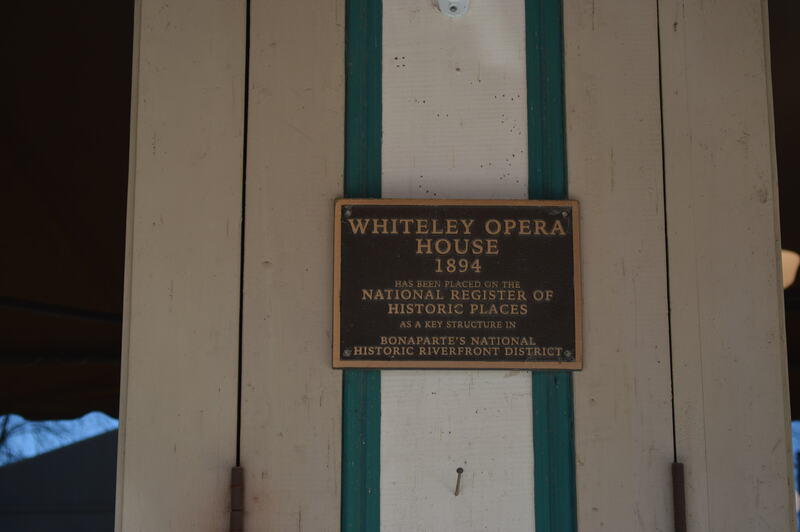 Plans for the last phase of work, on the upper story of the historic Opera House, call for a dinner theater. 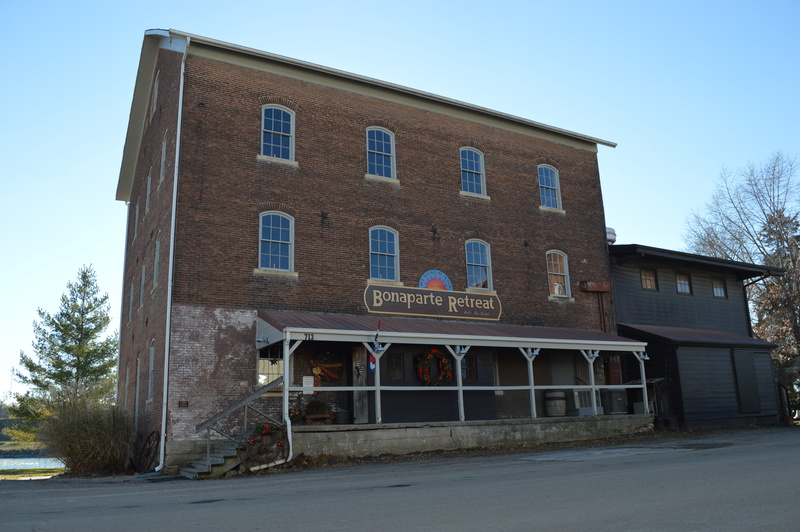 Not far away, one of the town’s main attractions has long been the Bonaparte Retreat Restaurant, located in the historic Meek Grist Mill, built in 1879. 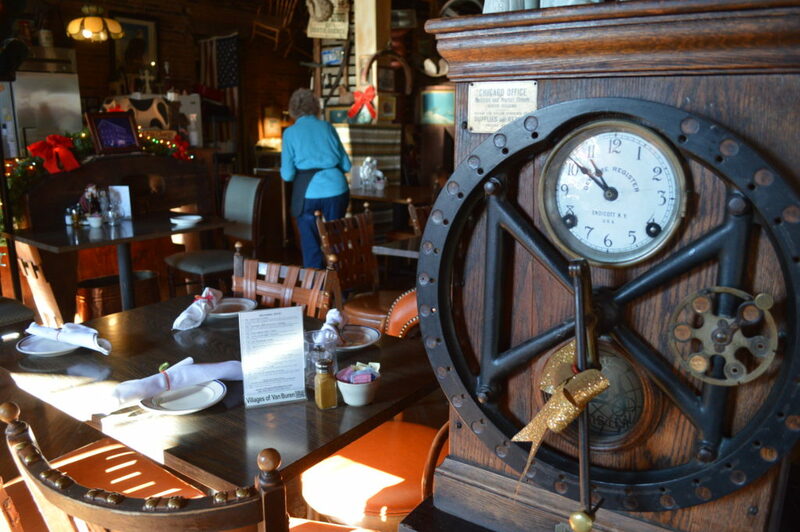 “It’s a destination; they’re not just passing through,” owner Rose Hendricks said of customers of the restaurant, which opened in 1970. Betty Eis, 87, said she and her husband eat lunch at the restaurant nearly every week day, citing the variety and choices of food. “It’s economical and very tasty,” she said. 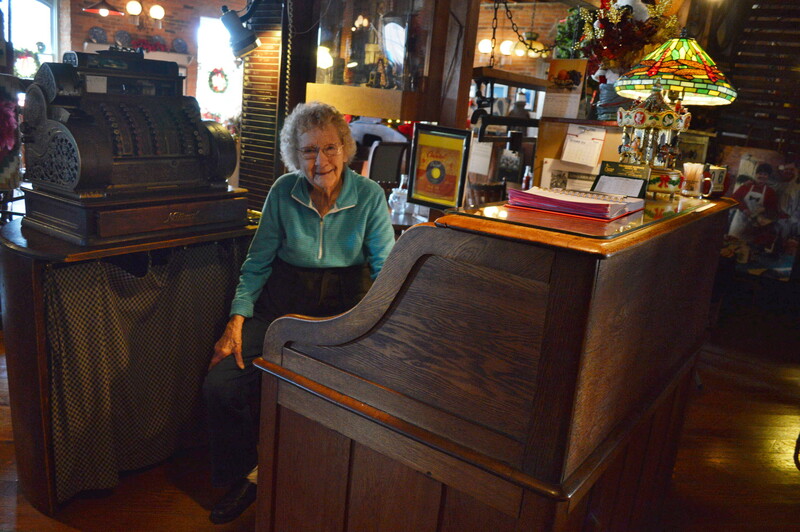 Eis also enjoys chatting with longtime waitress, Marie Hainline, 93, who has worked at the Bonaparte Retreat for nearly 35 years. 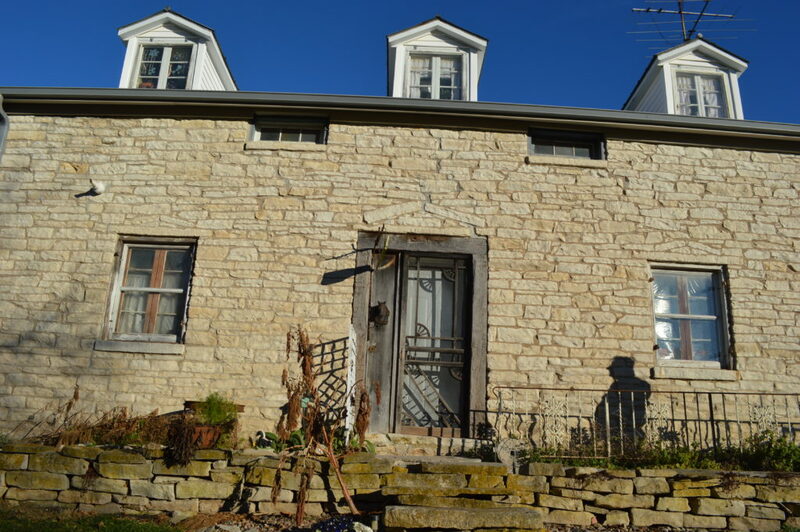 Just down the road in Franklin, the Christian Herschler Historic District Winery & Stagecoach Stop is situated in a rustic pre-Civil War limestone house, built in the 1840s, with a “new” addition constructed in the 1860s. 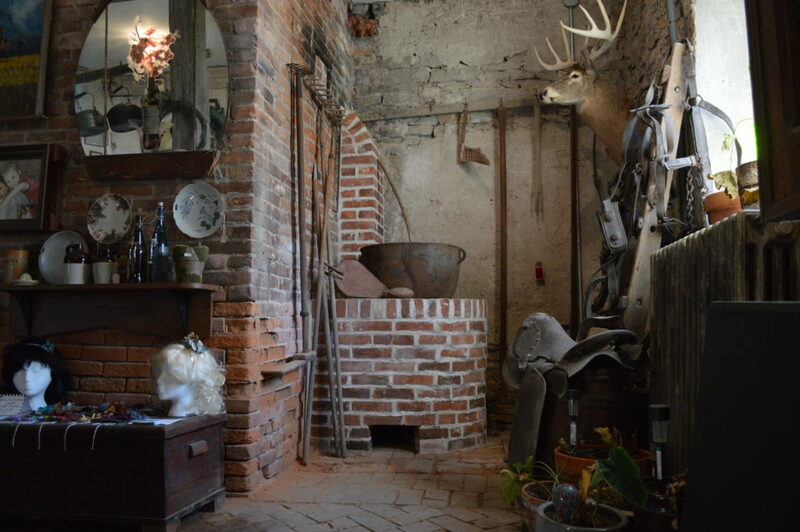 Owners Mike and Lorianne Jarvis – he is a carpenter and she is an artist – have meticulously restored the building, which serves as their home, with the winery in the lower level. A guest house on the property, Mike Jarvis notes, is not your typical bed & breakfast. “There is no breakfast,” he deadpans. 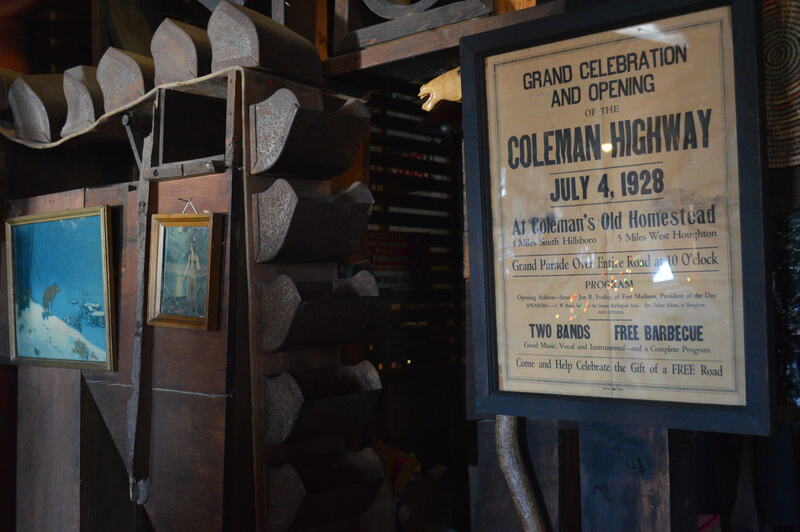 “We give you a bottle of wine and you sleep through breakfast.” Guests might catch glimpses of a ghost-like family of albino squirrels who skitter near the former stagecoach stop. The wine is made on-site, with the majority of ingredients, including the grapes, along with cherries, apples, plums, blackberries, rose petals and more, grown within 5 miles of the winery. While tourists could easily make a day trip out of the Historic Hills Scenic Byway, extra time is worthwhile to experience even more. 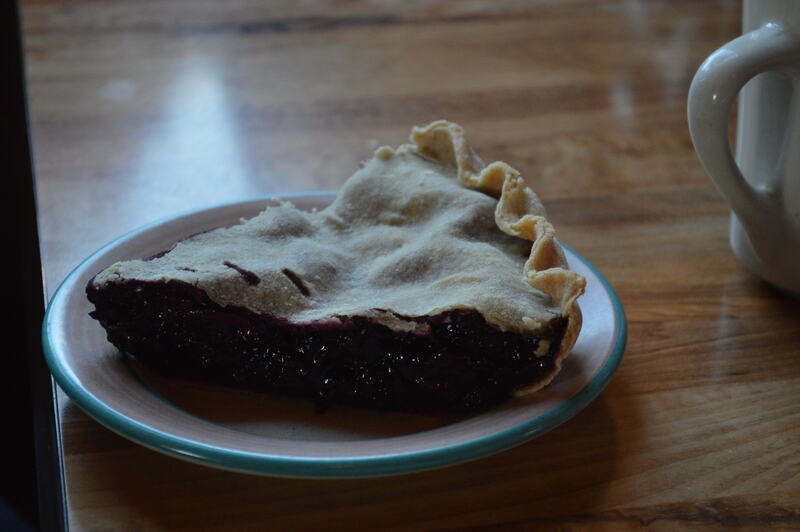 Travelers can visit Iowa’s oldest working orchard at Appleberry Orchard, east of Donnellson, which also includes a farm market, petting farm, historic barn and more. 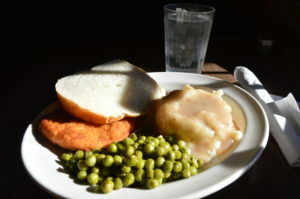 Diana Hughell, project manager for the Historic Hills Scenic Byway, points to a list of other attractions, such as Bloom and Bark Farm in rural Keosauqua, a glass-blowing studio and natural farm that features fruits and vegetables in season, jams, jellies and clay ovens built to bake artisan bread. 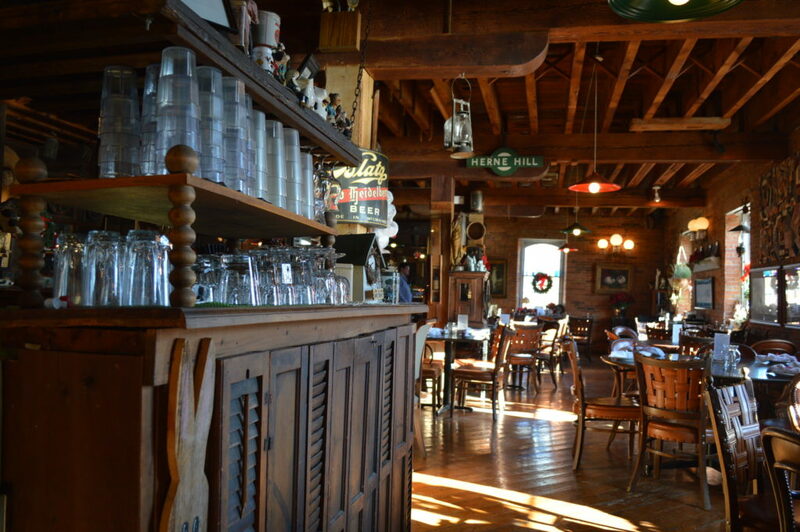 Harvestville Farm near Donnellson offers seasonal produce, farm-to-table dinners, parties, educational programs and a retail barn and cafe. Great story Cindy. 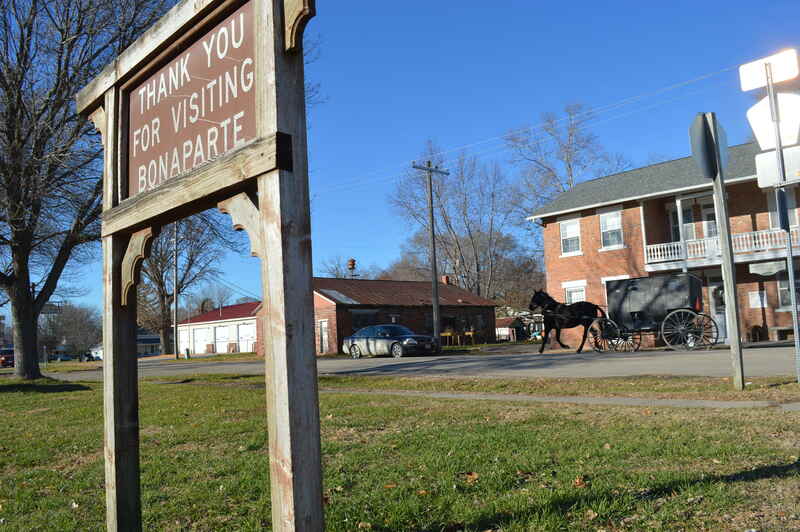 Having frequented Fort Madison, Mount Pleasant, Keosauqua and Ottumwa over the past few years, I had the pleasure of visiting Bonaparte and watched a barn raising. Southeast Iowa history has a fascinating history starting with Fort Madison in 1810. Thanks for exploring this part of the State. Thank you, Jeffrey! I had a great time visiting there! Going to Keokuk next month to see the restoration of the Depot. Can I write a little article for Homegrown? Sounds great! Send it my way. We will be going down May 19, specifically to visit Depot. I’ll have a lot of pictures and good info. It is supposed to be one of the first depots this side of Mississippi.